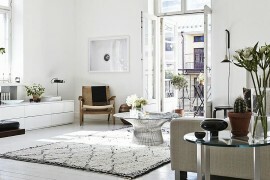 Elegant, simple and beautiful; the unassuming charm of Scandinavian style draws us all in instantly. 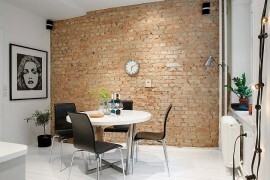 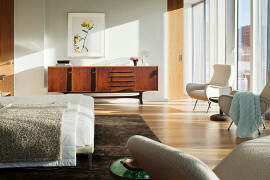 The classic Scandinavian design placed functionality above aesthetics and kept color to a bare minimum. 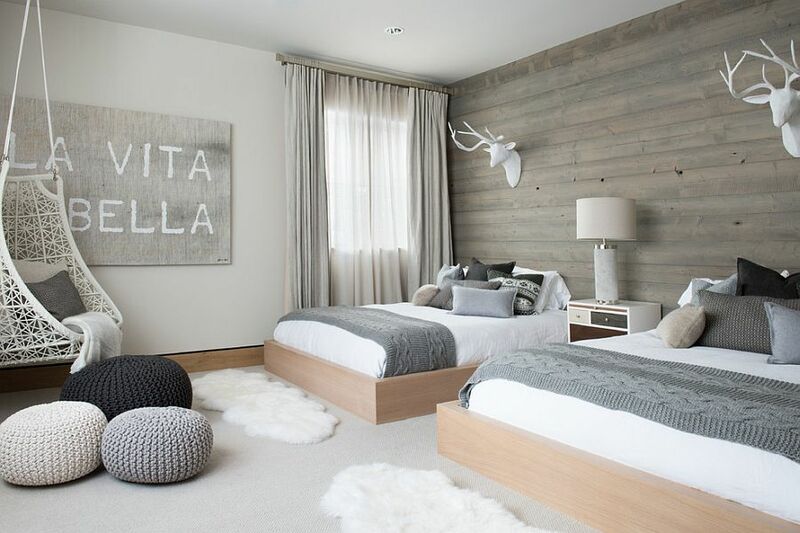 In fact, minimalism is an inherent feature of this style, making it absolutely perfect for contemporary homes that love to veer towards the minimal. 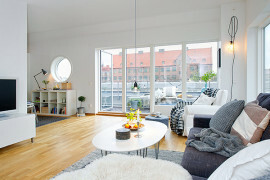 But over time, creative designers and homeowners have cleverly combined other styles with the Nordic approach to decorating to create a multitude of styles that brings a distinct personality to each setting. 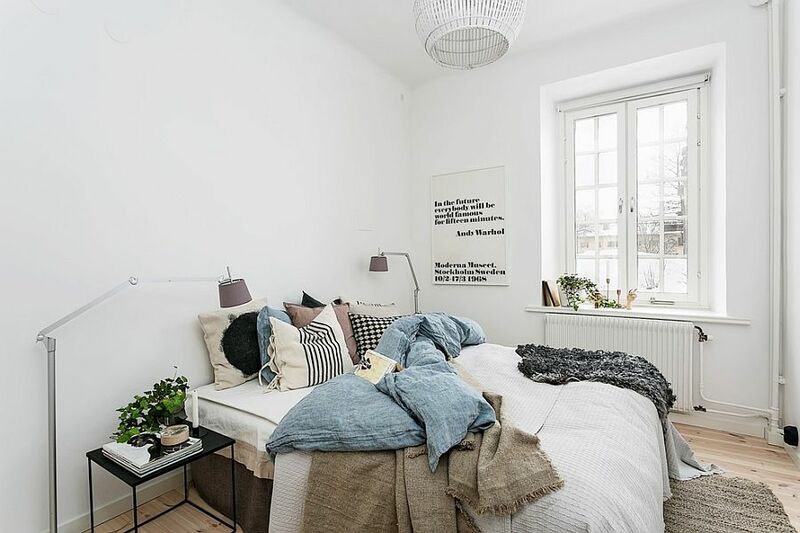 Today we take a look at 36 awesome Scandinavian bedrooms that vary from the chic to the classic, and yet each one seems equally captivating in its own unique way. 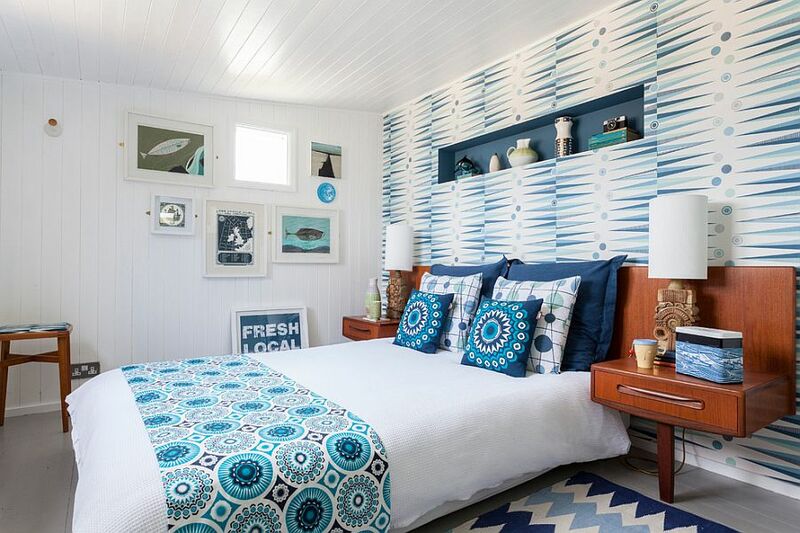 With summer and fall ahead, the style is also perfect for those looking to give their bedrooms a cheerful, breezy and stylish look that can be easily morphed into a cozy winter feel with a few simple changes down the line. 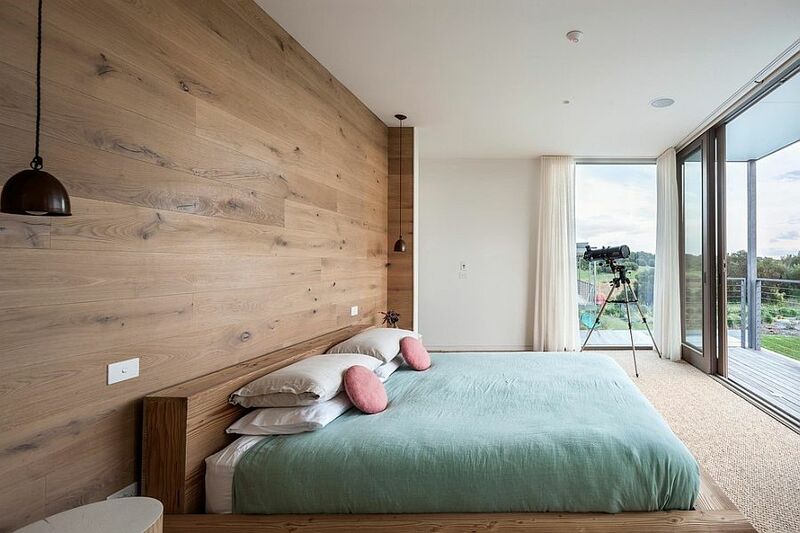 One amazing feature of Scandinavian bedrooms is the neutral backdrop that they offer, making it possible for you to decorate with statement pieces and sculptural additions in a truly exquisite fashion. 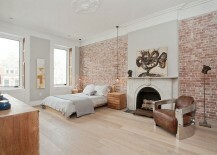 It is almost like a blank canvas that is waiting to be filled with personality and distinct identity. 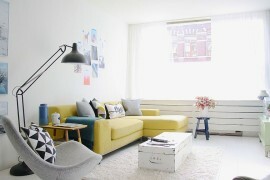 Color is a great way of doing this, but make sure that you do not go overboard in this regard. 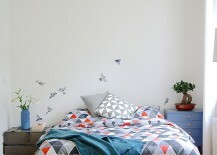 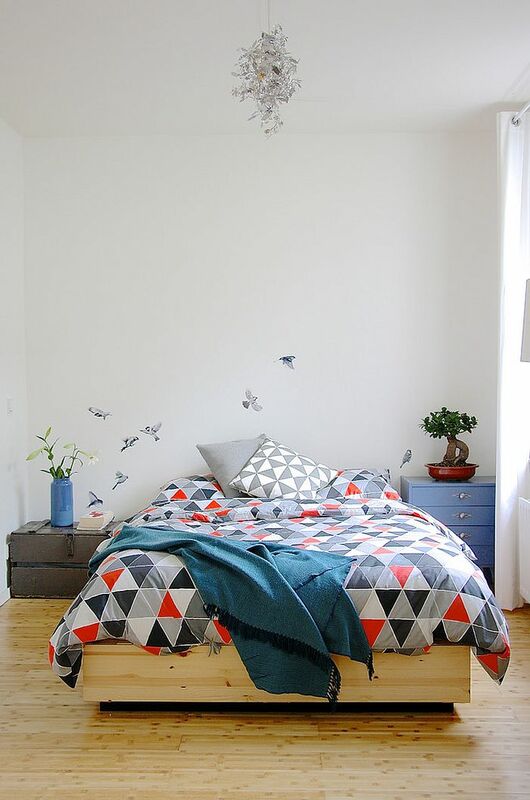 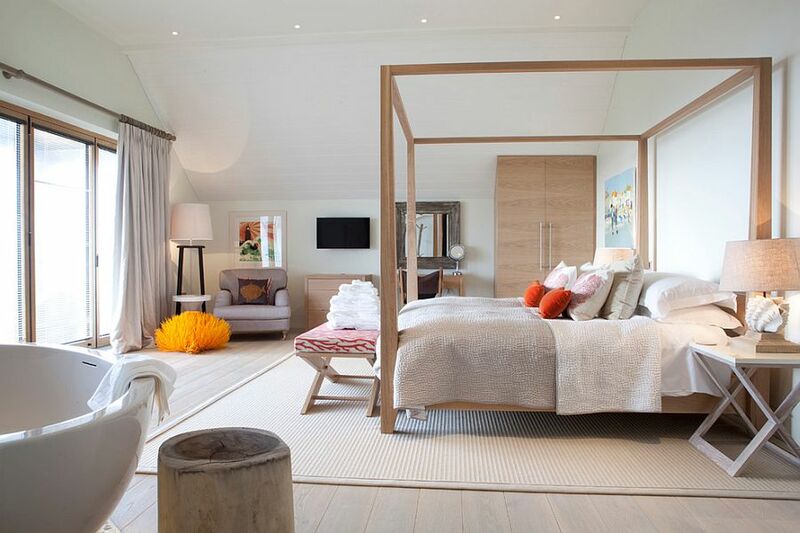 When it comes to Scandinavian bedrooms, it is always curated pops of color that work best. 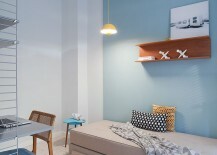 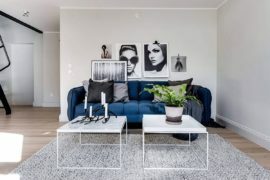 With blue currently being the hottest hue in Scandinavian homes, this is a smart way forward. 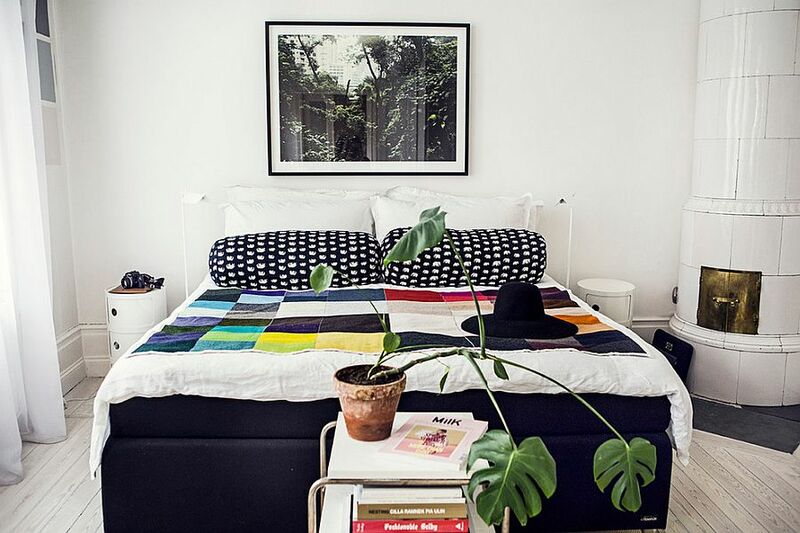 Once the accent hue has run its course, you can switch it out for another seasonal hotshot. 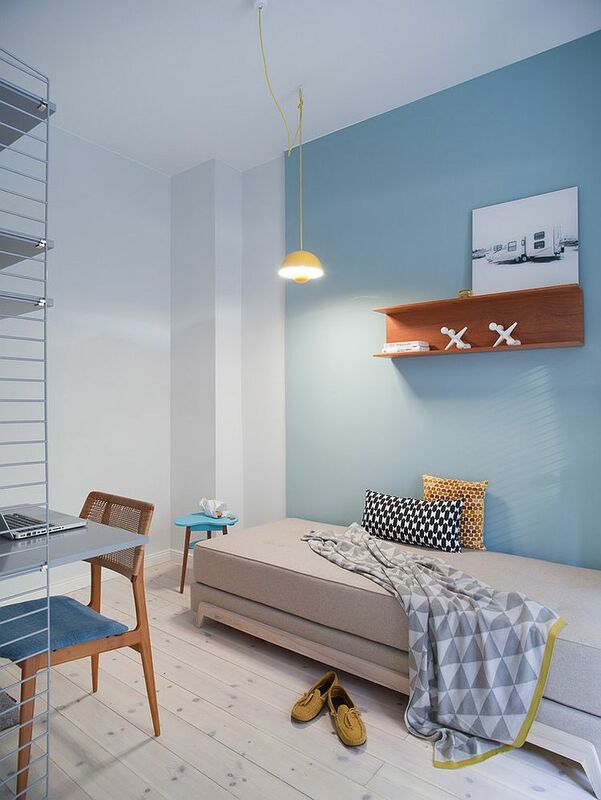 Adapting a Scandinavian style is not just about aesthetics alone, and it also gives an ergonomic advantage for those with a small bedroom. 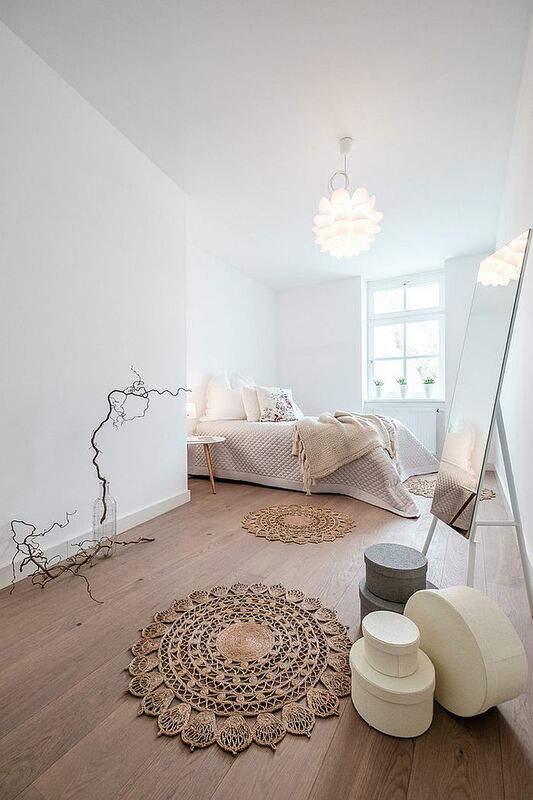 If you are short on space, the inherent simplicity of the Nordic style, its use of a neutral color palette with white being the predominant color, and the shunning of unnecessary accessories and decor are indeed big advantages! 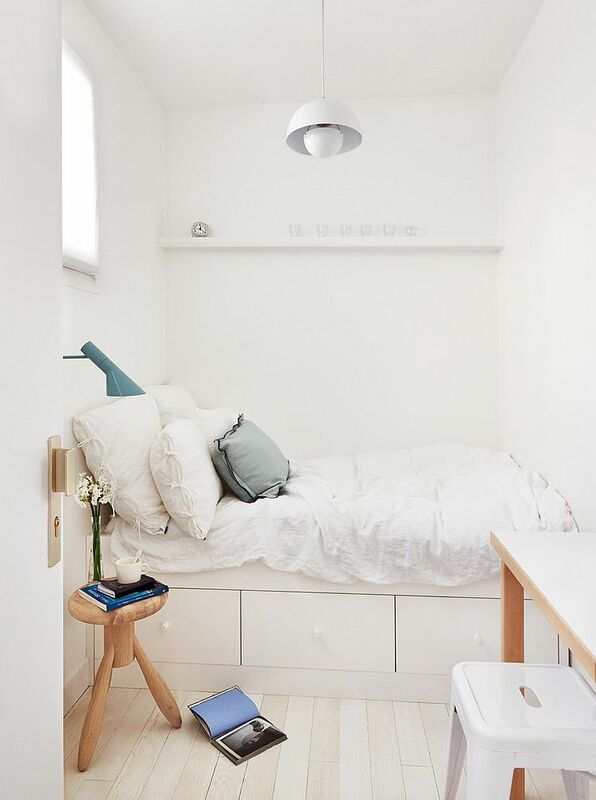 Yet, because of the wide use of push rugs, wooden bedside tables and ample natural ventilation, your small bedroom will neither seem sterile nor dreary. 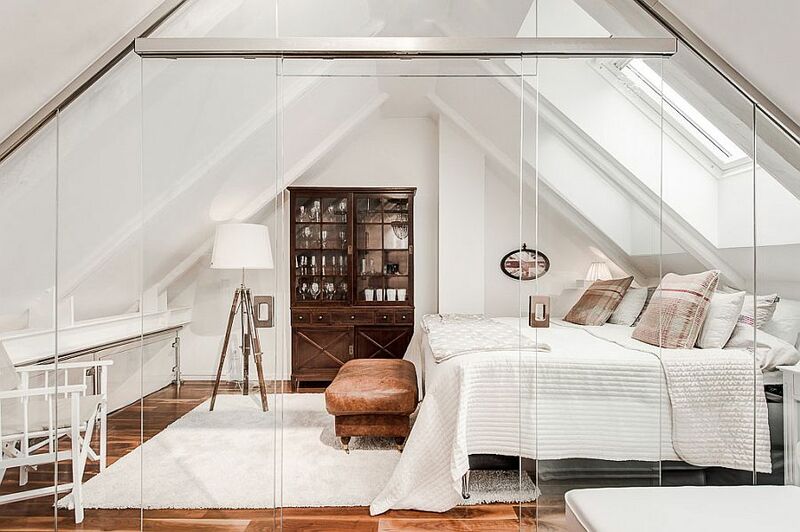 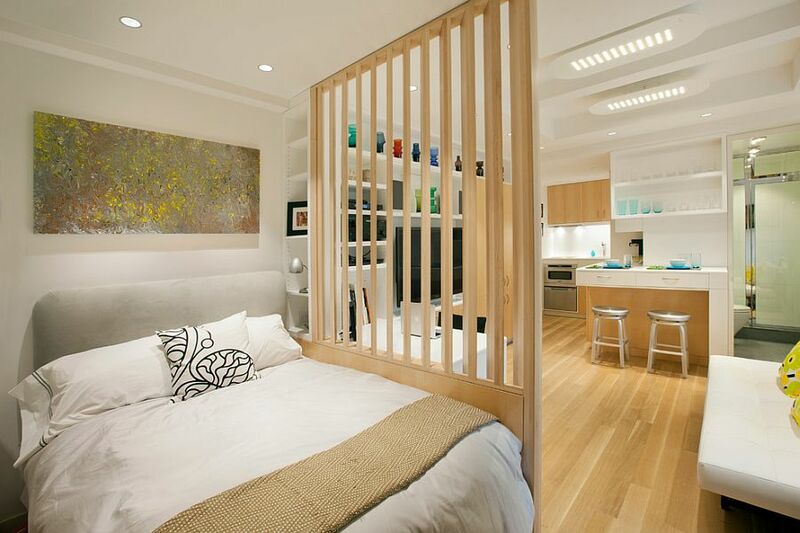 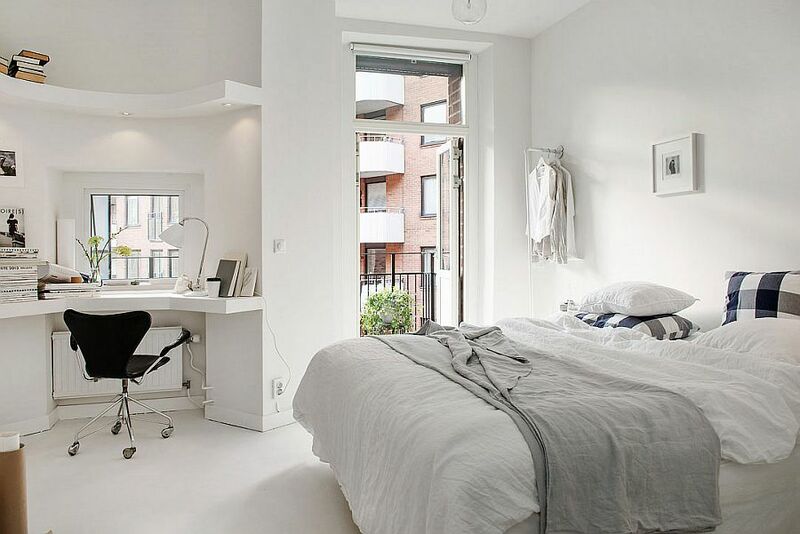 Efficient use of space is something that the Scandinavian style places a premium on and this is precisely why you see even the biggest bedrooms with this style ending up using only the square footage that is absolutely necessary. 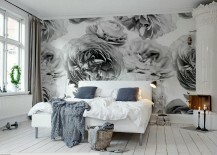 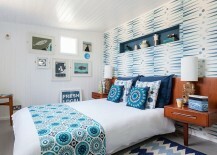 Once again, you can turn to bedding or an accent wall in cool, pastel hues to add color to this tiny, curated setting. 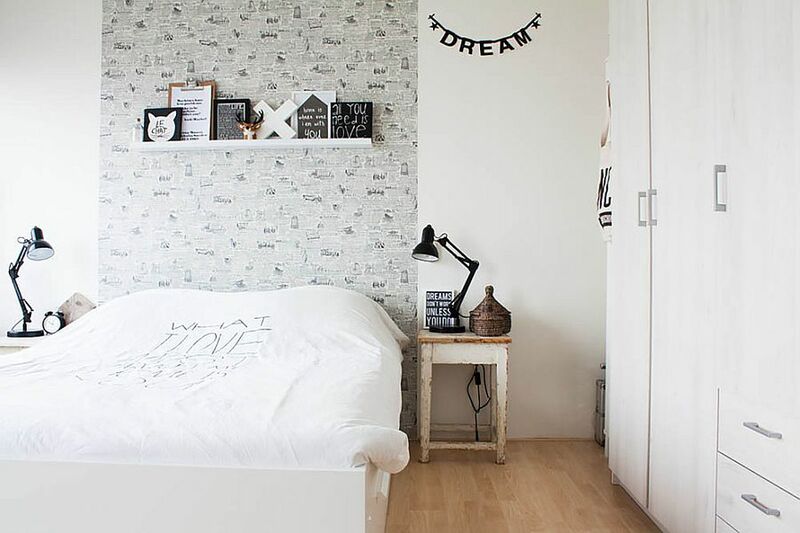 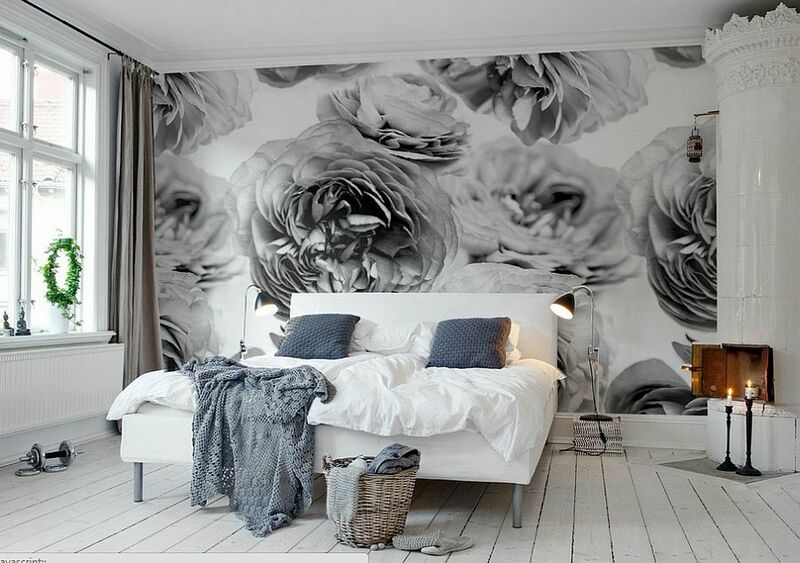 There are ways beyond color to give your bedroom visual contrast, and turning to a multitude of textures is an added bonus when it concerns Scandinavian style. 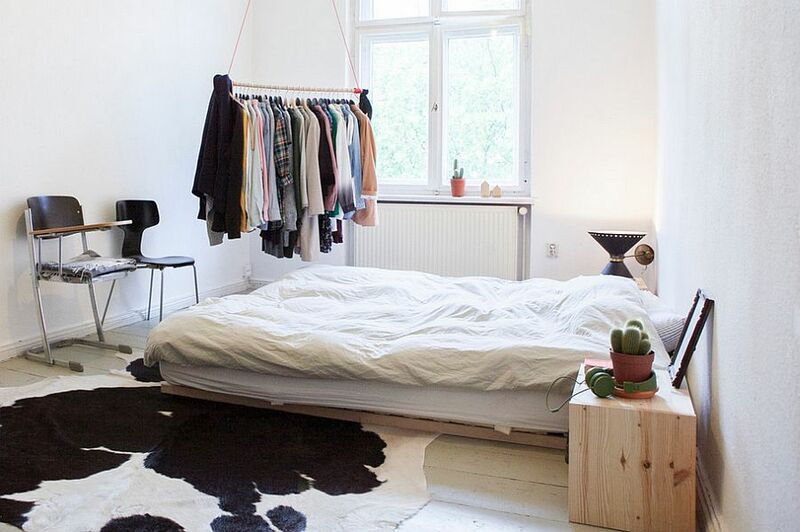 Plush cowhide rugs, accent walls draped in wood, and a hint of shimmering copper in the form of a cool pendant light are all trendy ways that you can decorate your Scandinavian bedroom. 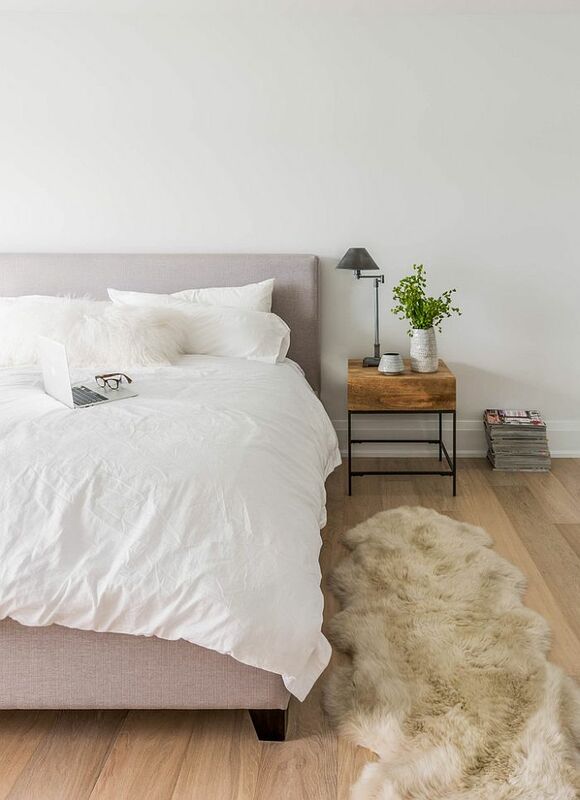 Think of pieces such as smart nightstands, which make a really big impact on the overall ambiance of the bedroom while fitting into the Nordic style perfectly. 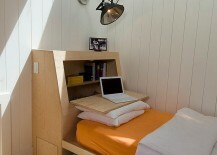 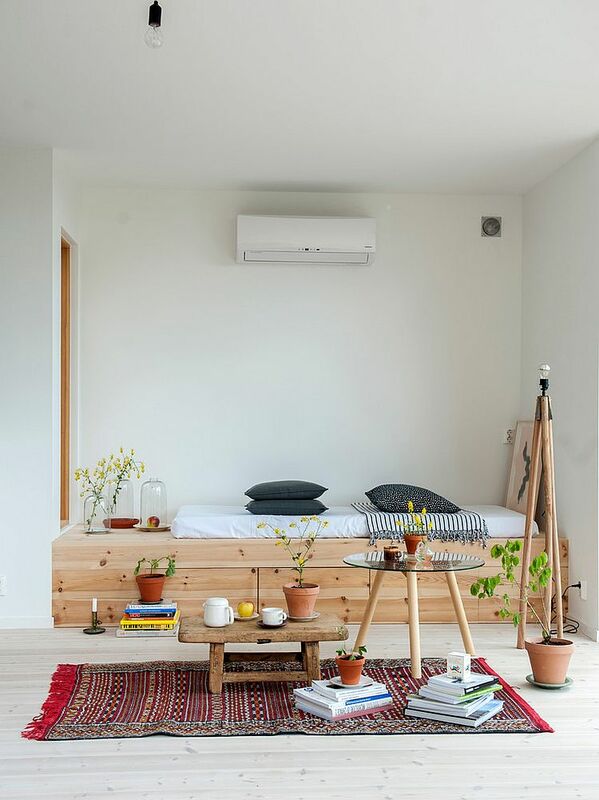 Also consider picking a bed frame that is sleeker and made using natural wood. 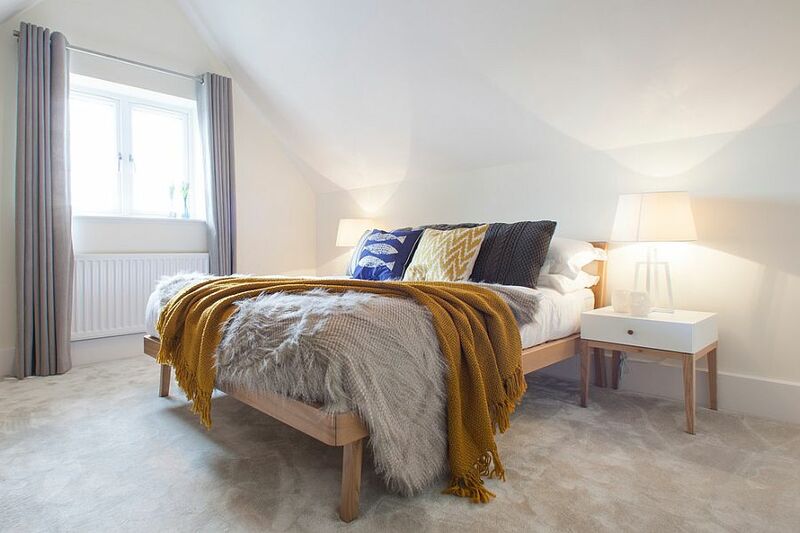 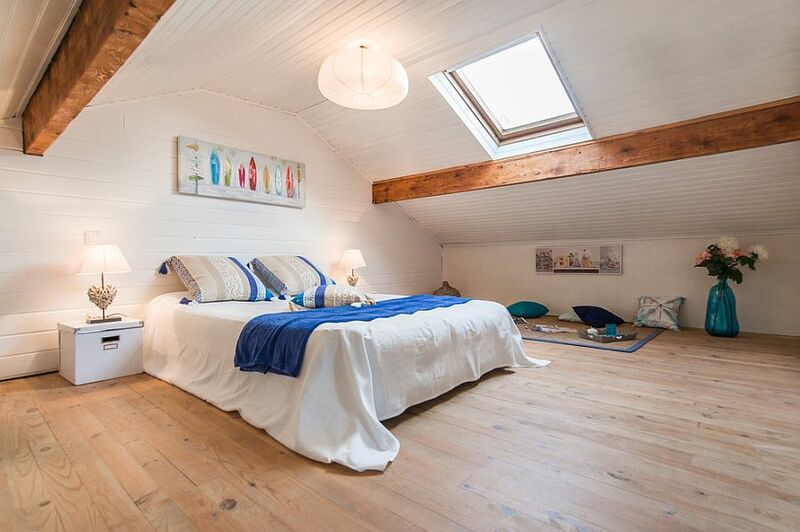 We absolutely love Scandinavian bedrooms that feature a nifty sleigh or platform bed, as this instantly becomes the focal point of the room without trying too hard. 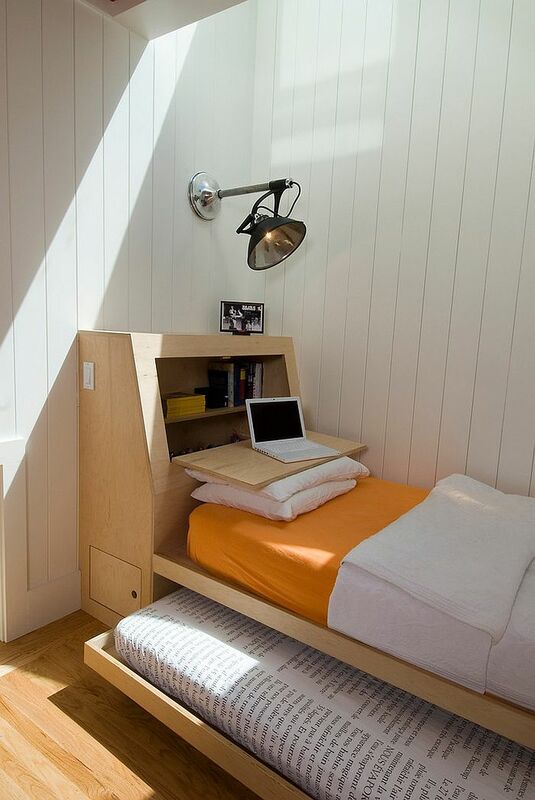 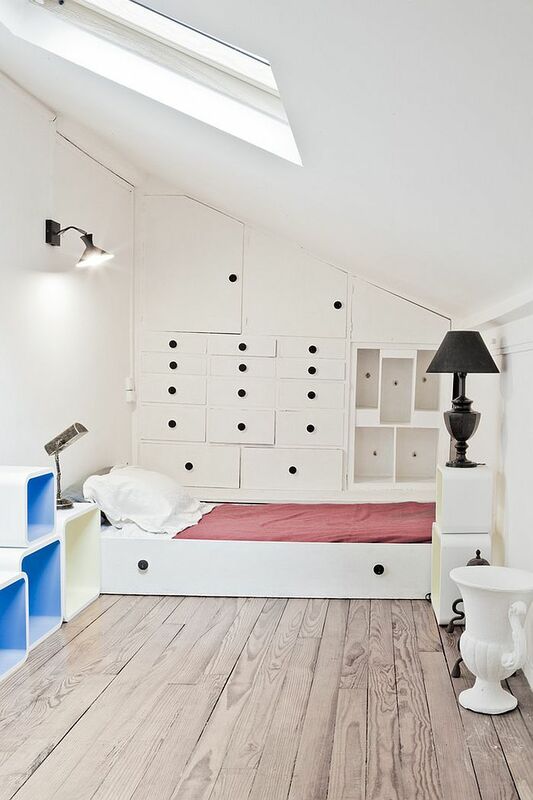 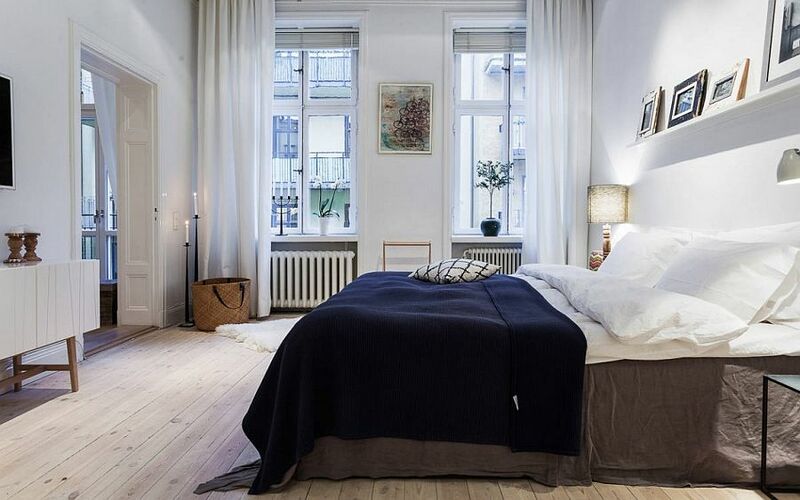 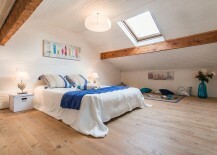 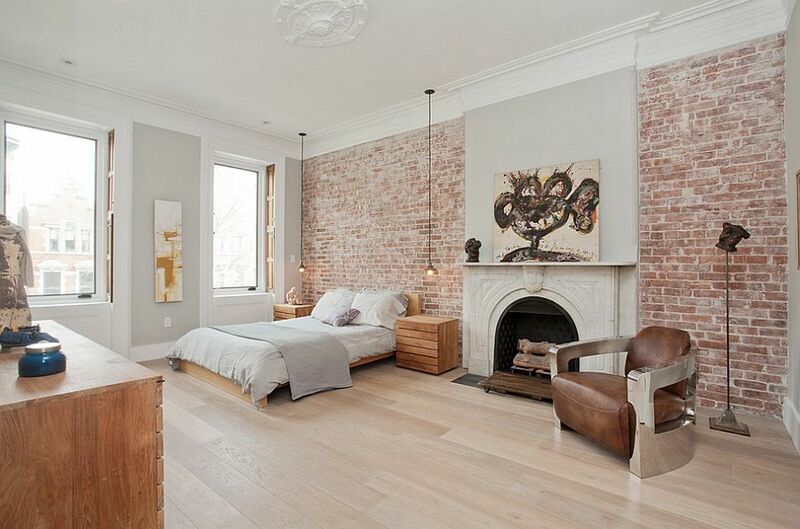 You can build on this by adding an exposed brick wall that is painted white, custom bedside pendants, a few black and white posters and an understated nightstand (probably an upcycled piece from an old tree stump) to complete a truly relaxing, nature-centric bedroom design that is distinctly Scandinavian. 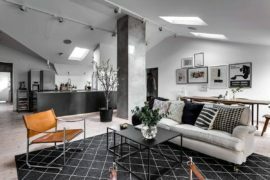 While white needs no introduction in Scandinavian-style interiors, do not underestimate the importance of black and gray in the overall scheme of things. 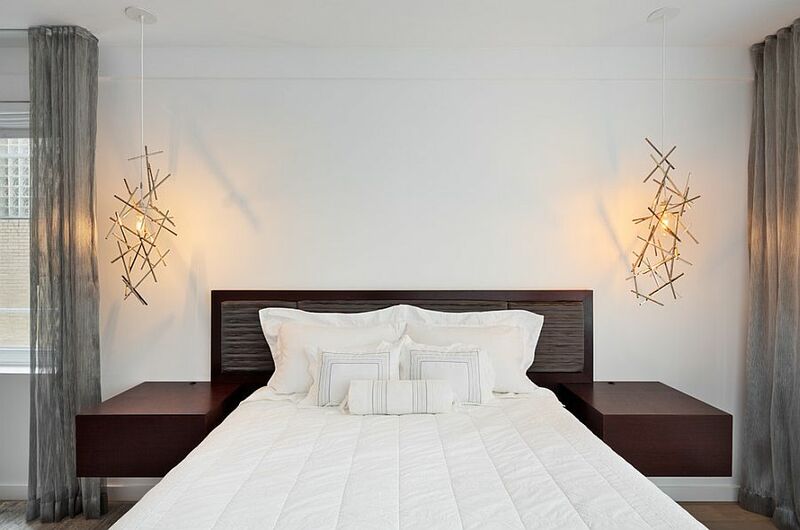 Black anchors the room, helps define and highlight the architectural features of your choice, and offers the ideal visual balance. 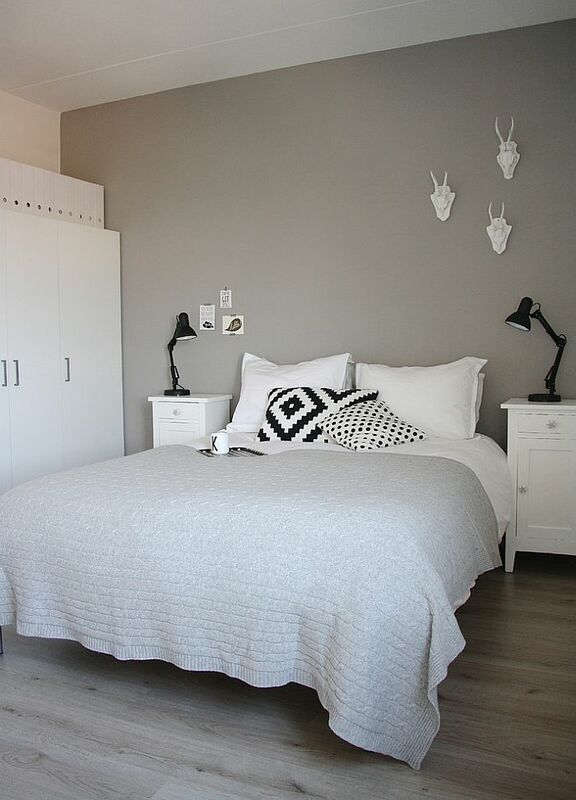 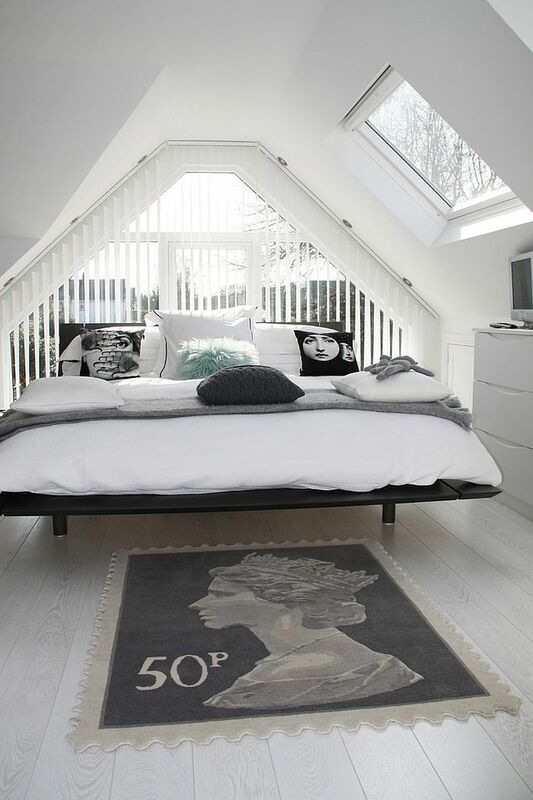 Shades of gray enhance this seemingly monochromatic look and give the posh, minimal Scandinavian bedroom a more contemporary and sophisticated aura. 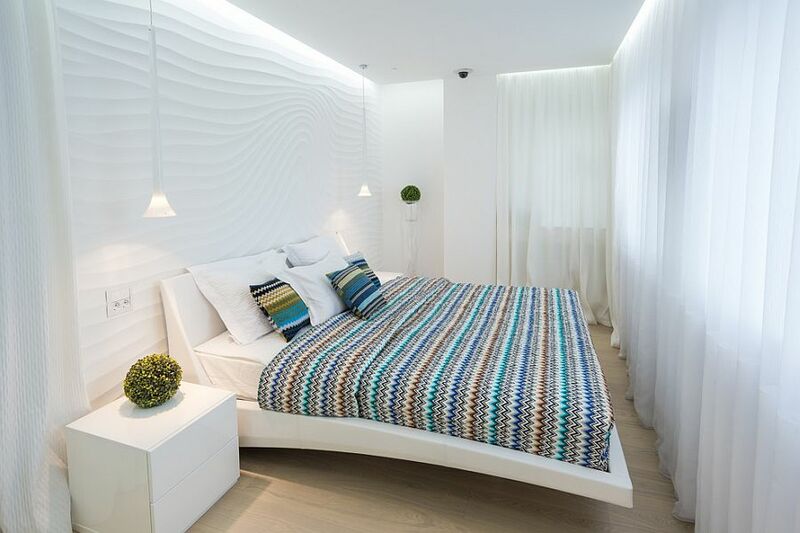 Complement this approach by using simple straight lines, sleek floating shelves, and wardrobes that disappear into the pale background for a dream bedroom!